Our child-friendly app to help you keep your kids safe online – includes child locator. 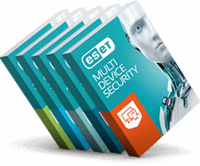 Comprehensive internet security for your PC, Mac and Android devices. Your complete online world, finally in safe hands. Comprehensive protection for your everyday online activities. Your internet world is finally in safe hands. Essential defense against malware, built to protect your internet world. All-in-one internet security that neutralizes all types of digital threats.